Prime Time Public healthcare Vs Private. Just a note on something I watched during the week, Primetime Investigates Public Vs Private, the battle for care. It was not the usual run from Rte and looks like they put some effort into investigating and making their documentary. They focused on how the big waiting list in the public systems are made worst by the consultants “moonlighting” for the private sector as well, often at the expense of their public patients. Seemingly the consultants who are suppose to work 4 days- 37 to 39 hours, work as little as 13 hours in the public system and often too busy with their private practices to look after public patients despite being paid to do so. Public patients are often told to “go private” to beat the long ques that exist despite the taxpayer paying for the doctor’s salaries. the junior doctors, nurses and other staff plus the equipment and the premises as well. The first question patients are asked is do they have private health insurance which is paying on the double or maybe on the triple. The public gets bad value for money, patients are often stressed by long waiting lists and the hospitals are ran badly by inept management, who pays people for a job they are not doing- no-one except the Irish health service the only ones who can do it. 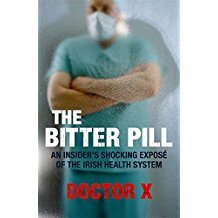 A book I read a few years ago “The bitter Pill” was written anonymously “Doctor X” by a foreign doctor on the Irish health service was scathing on how it was run and said one of the biggest problems was a private sector which was “leaching” off the public sector, which wouldn’t be profitable if it didn’t. Another comment was the sending of patients off for private scans when the cheapest thing to do, was to buy the bloody scanner. The writer had a long list of improvements at the back of his book which is well worth a read. In a few years things will come to a crunch in the Public Vs Private systems. Successive Irish governments had done their best to run down the public health care system and foist an “American style healthcare” system onto the Irish public. The public healthcare system can’t be seen to work as then they would no need to go private. No big money for anyone especially the politicians who get big backhanders from healthcare companies. A better run public system is badly needed and wanted by the Irish public but seemingly government’s with different Agenda’s are the main problem to the “fix”. Until this changes the mess will continue. 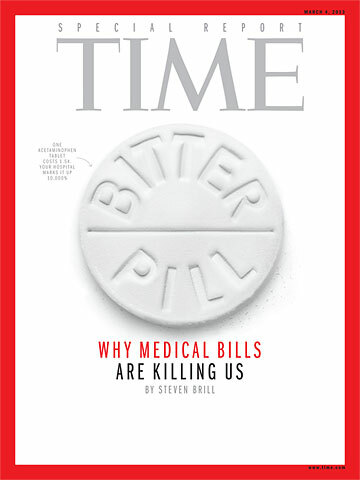 Author adminPosted on November 25, 2017 December 11, 2017 Categories Ireland economyTags Public healthcare Vs Private, The Bitter Pill, Vested InterestsLeave a comment on Prime Time Public healthcare Vs Private.